1. Heavy-duty steel construction. Extremely durable. 7. 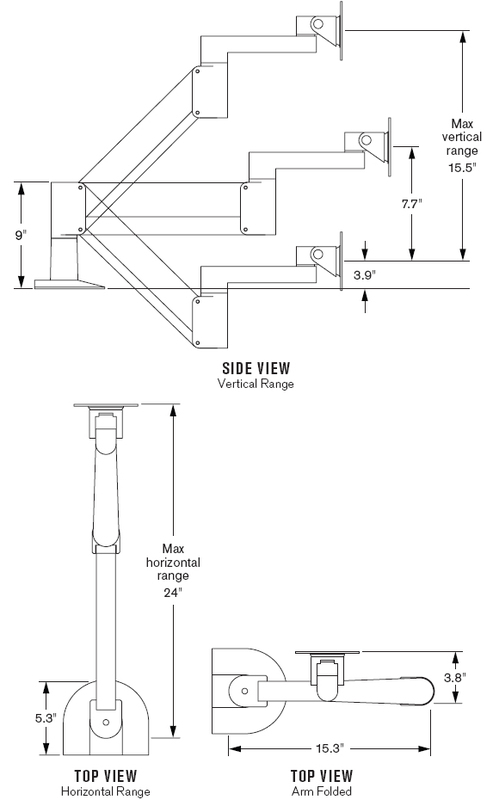 Optional upgrade to quick install/release monitor bracket. Consult your sales rep for details. 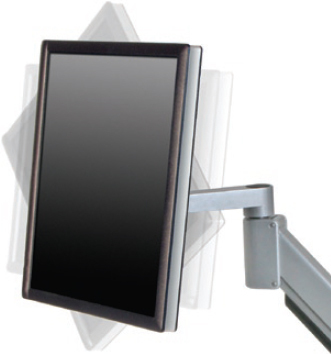 For an exceptionally strong and durable monitor mount, choose the 9105-FM Heavy Duty LCD Arm. 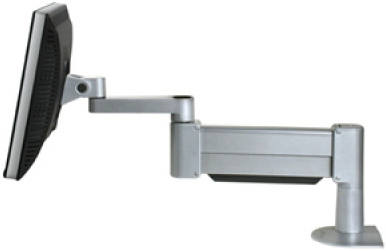 This steel arm can effortlessly support monitors up to 54 pounds. 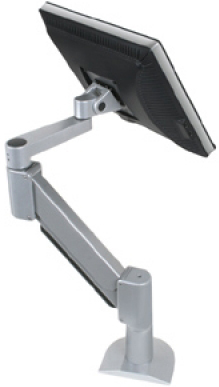 Includes our spring-assist monitor tilter for effortless monitor motion. 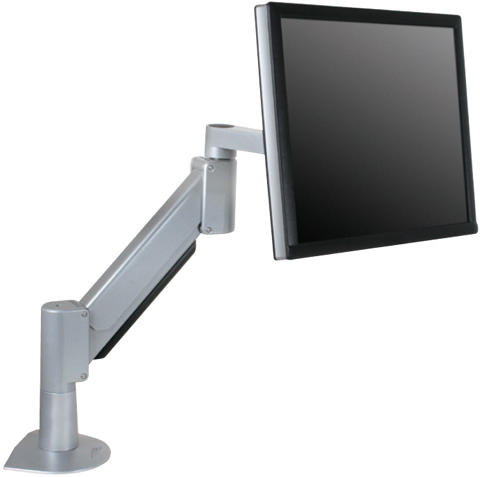 9105 is ideal for large LCD's as well as data-entry applications, where the will support both monitor and keyboard tray. Question: What is the dual monitor bracket? It is offered as an option on this product page. 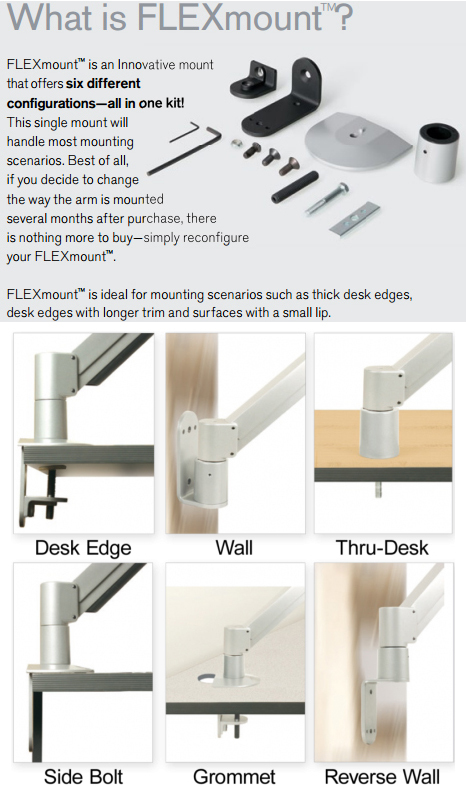 Is it another arm that attaches and swivels separately? Or would the monitors be mounted together and move as a unit? 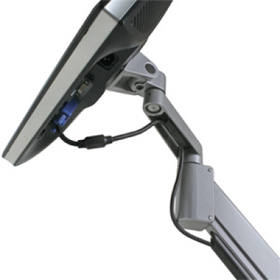 Answer: The dual monitor bracket attaches to the Innovative 9105 arm directly and the monitors move together in unison. It is not a separate arm.